As Executive Vice President, Chad manages multiple accounts, business development, client strategy, new project pursuits, public relations, and community initiatives. 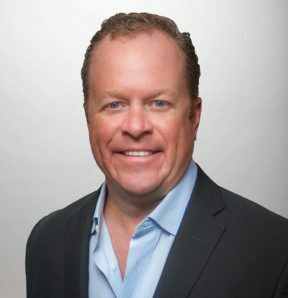 He is a prominent ambassador for Moss & Associates and is known for building strong relationships throughout the South Florida construction field and in the community as a whole. He is an effective and passionate advocate for building sustainability, new technology, and mentoring in the industry. Chad co-founded family-owned-and-operated Moss & Associates after he began his 20-year career in operations. Chad has been active in some of Moss’s most prominent signature projects, including the Miami Marlins Park, opened in 2012, and the groundbreaking 620-bed Parkview Hall at his alma mater, Florida International University, opened in August 2013. He is also instrumental in the family’s donation of $250,000 to FIU in 2013 for a construction laboratory to achieve cost- and time-saving practices that have made Moss & Associates an industry leader. Chad serves as President of the Moss Foundation, a non-profit organization established to provide a platform for the community initiatives and partnerships Moss is involved with. The Foundation supports and offers assistance to other non-profit organizations and community partners, promoting the premise that Moss isn’t just about building structures, we are helping to build communities. Chad earned a B.S. in construction management from Florida International University.